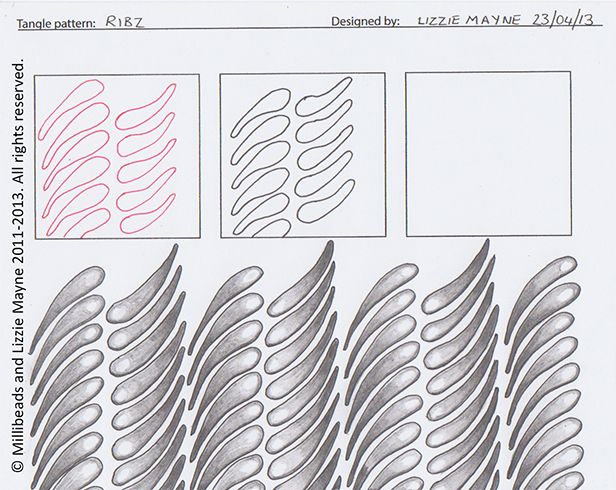 New pattern ‘Ribz’ and news. I don’t seem to get much time to tangle these days, But because I had a bad back on Monday I was able to rest and create a new tangle. This one is called ‘Ribz’ and is inspired by sequin waste. As always you can find the step by step instructions to this design by clicking on the image.